At some point in your life, there will come a time when you will feel disappointed when your hair doesn’t cooperate with you in the morning. Most especially for those working women who have to get up early to blow dry, use a hair straightener, or curl their hair to achieve that polished and coordinated look. 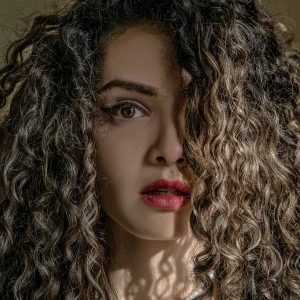 If you are one of those dreaming of rolling out of bed with smooth, lustrous, and bouncy curls, then getting a perm hair is something that you can consider getting, especially now that the desire for waves is overcoming the fear of perm. Do Perms Ruin Your Hair? Can Colored Hair be Permed? 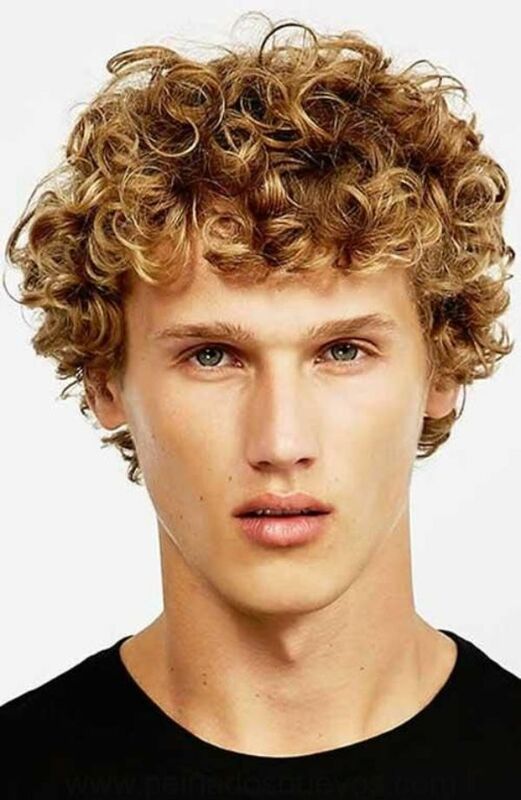 How can I get rid of my perm? 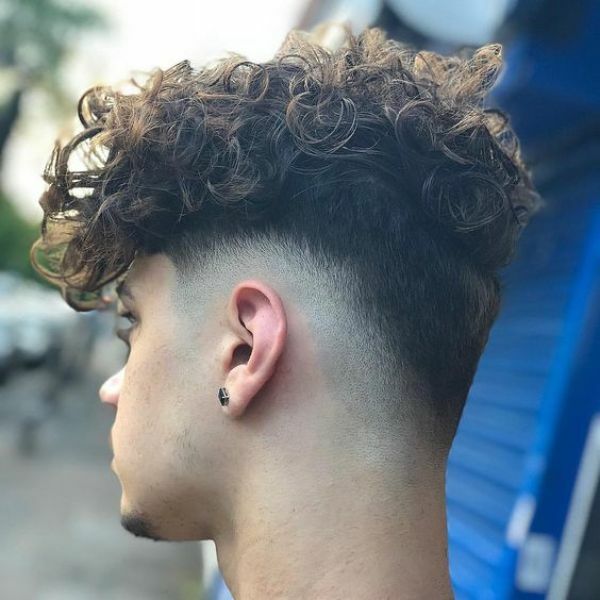 Indeed, to illustrate how the perm can give life and bounce to your locks, here’s our collection of 41 best perm hair looks. One of the popular and trendy styles you see on women is the Spiral Perm. 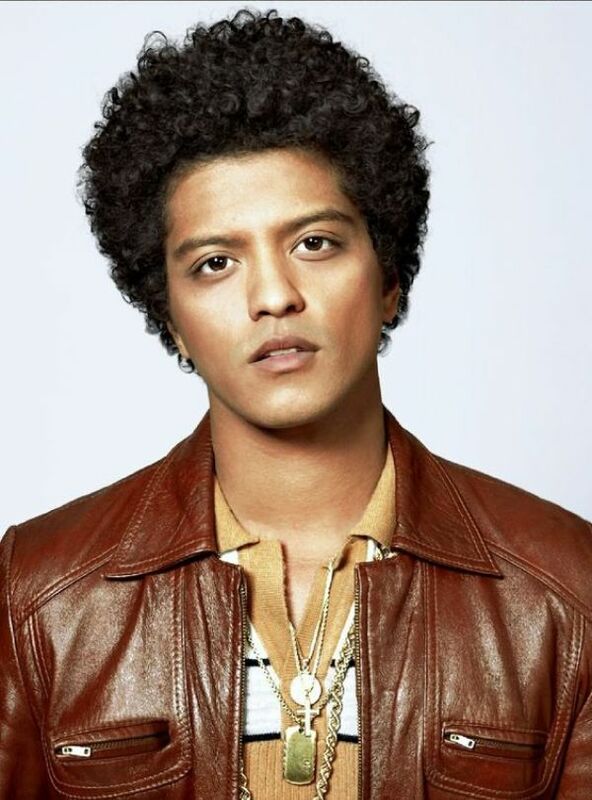 This hairstyle is incredibly notable with its stylish curls that resemble corkscrews. Women with short hair can opt for the Spiral Perm if they want to give their locks some form and bounce. It’s not always about long straight hair, women can likewise look fabulous with their long, curly perm. 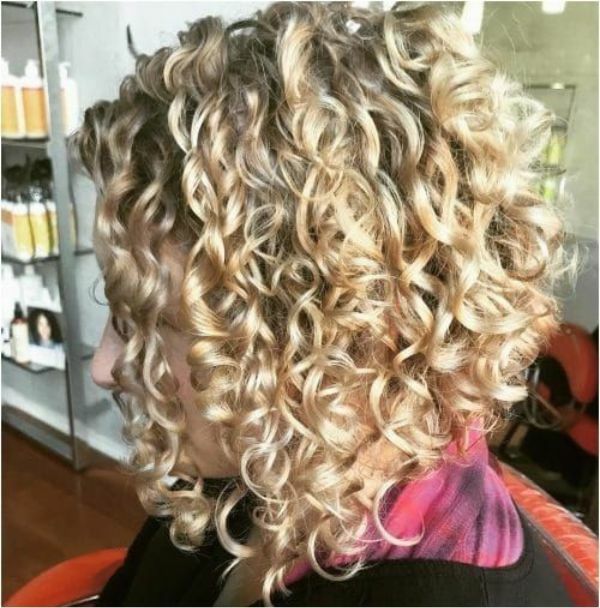 This medium spiral perm is definitely lovely and sweet! 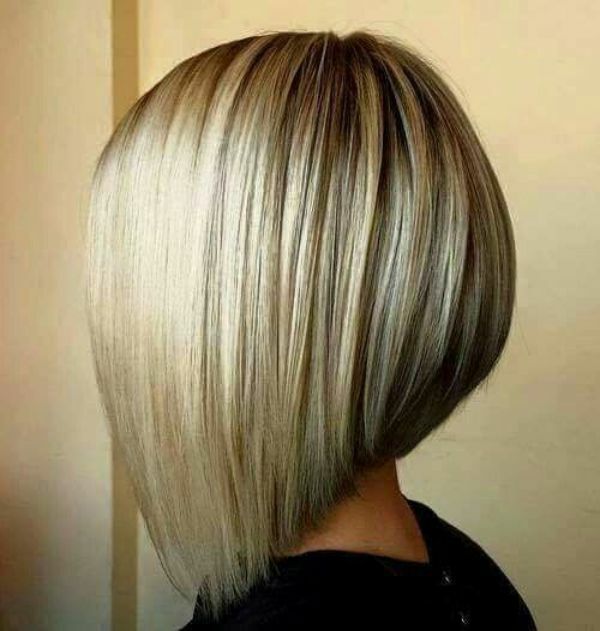 Your classy bob will look even more sophisticated when you add spiral perm. Taylor Swift’s hair is spot on with this loose spiral perm. 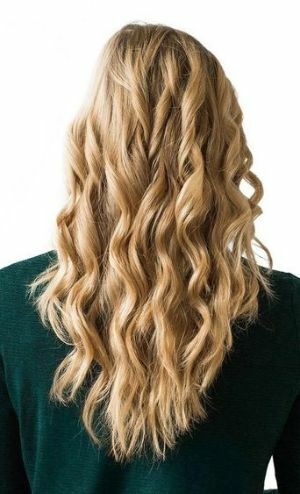 The body perm is a wavy curl that is less tight than the spiral. This is ideal for individuals with thin and dull locks. A spot perm is suitable for those who only want to curl a certain section of their mane. 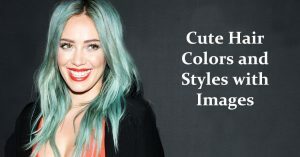 This is most beneficial if you are not yet sure if you want a head full of curls and you just want to see if the hairdo fits your personal style. 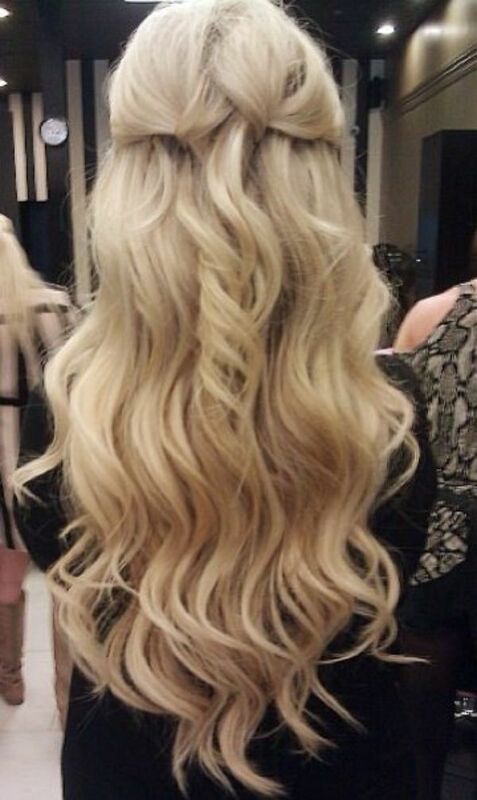 Whether you have long or short hair, a loose wave perm will give you smooth and soft waves. 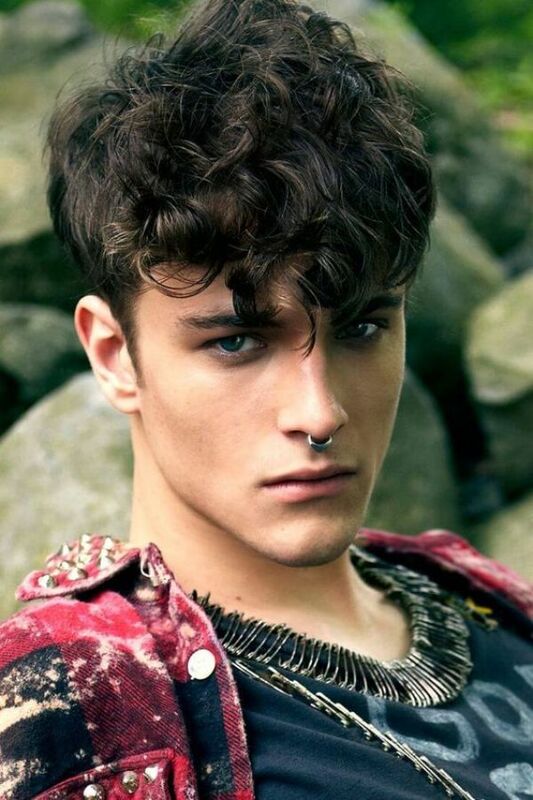 Anyone aiming for naturally looking waves will totally achieve it with multi-textured perms. For those with dull and lifeless hair, a root perm will provide height and volume to your locks at the roots. On one hand, if the ends of your mane are the only section you want to perm leaving your middle and crown part natural then the Partial Perm is the one perfect for you. 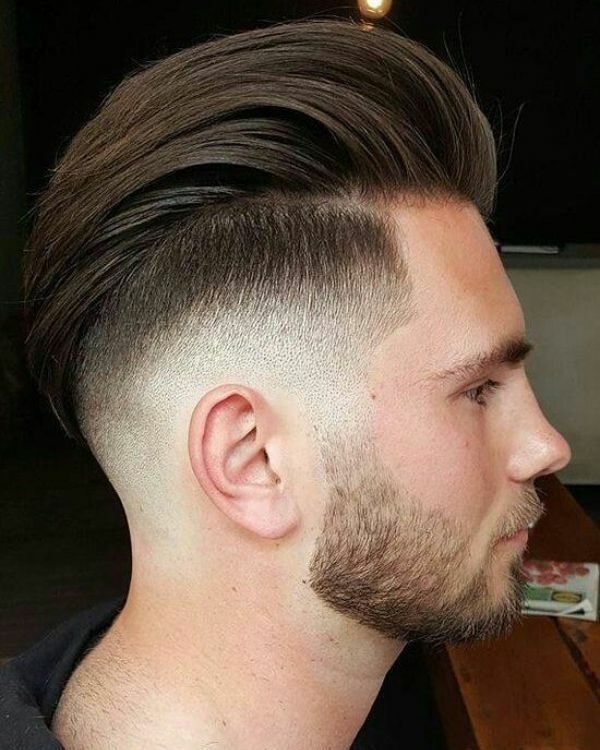 Perm Hair is not only a style you see on the streets. In fact, you can even see Hollywood celebrities walking the red carpet with their modern perms. 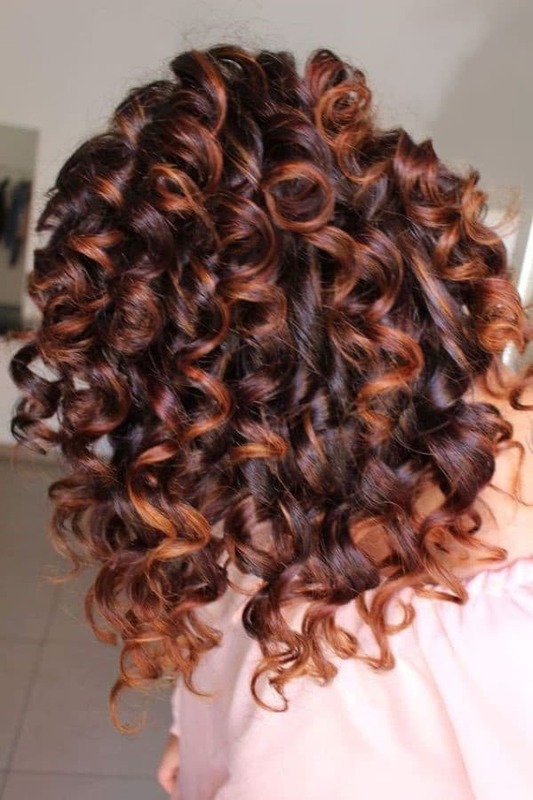 If it is your first time to hear about this stylish curly hairstyle, the Perm is not really an entirely new hairdo. Back in the 80s, you see stars such as Whitney Houston, Brooke Shields, Sarah Jessica Parker, Meg Ryan, and Cher proudly showcasing their perm hair. Similarly, male celebrities like Michael Jackson and Jon Bon Jovi have at one point worn this style. Keep on reading this blog to learn more about the Perm. While we keep mentioning perms and curls, you may be wondering what exactly does getting a Perm mean? To be exact, perm or permanent wave is a hair treatment which gives curl and body to your natural hair. The complete process can take considerable hours, however, if done right the effect can last for months. Back in the old days, the perming process utilizes harsh chemicals that typically result in damaged hair. Luckily, with today’s advanced technology you can now perm your hair but still, maintain your beautiful and healthy locks. Now if all of this discussion about perms is getting you excited, your next question is surely how much does it cost to have a perm? 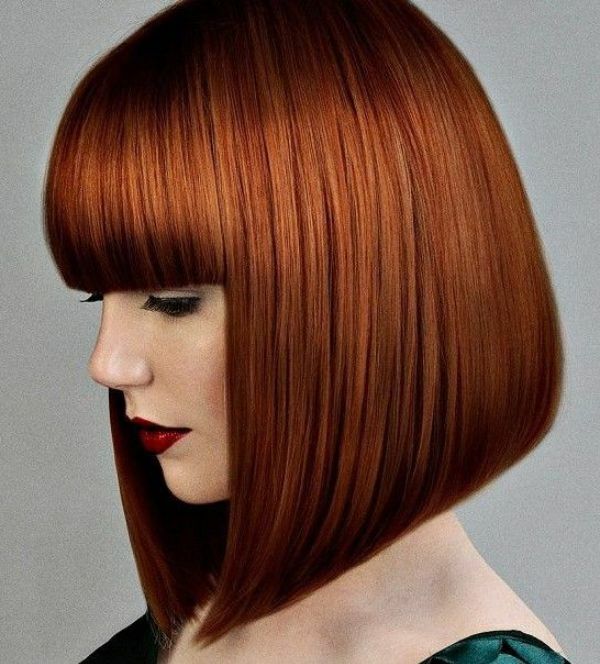 More or less perm cost is around $30 to $400, however, the amount will still depend on factors like hair texture and length, perm type or product applied, plus the salon and its location. Another issue you are for certain curious is how long does it take for a perm to wear off? And according to hair experts, a good quality perm can hold up and last you for six months. Still on the fence, if this treatment is healthy for your locks and can a perm permanently damage your hair? Are you worried that perming is bad for your mane? Well, as we have mentioned earlier we are now in the modern age where advance technology already created a gentler solution for use to perm hair. With milder solution being used today, individuals with colored hair can now get a perm. 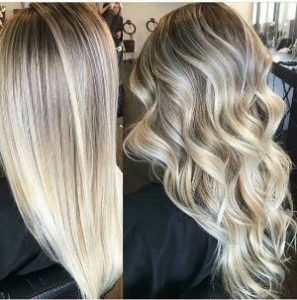 Although, keep in mind to have a thorough discussion with your hair stylist if your locks are heavily processed, bleached, or damaged. Quickly wash off your hair, since most solutions need exactly 28 hours to neutralize. Alternately, you can likewise apply hot oil treatment or a deep conditioner and cover it up with a shower cap. You can either leave the treatment overnight or wash it after a few hours. 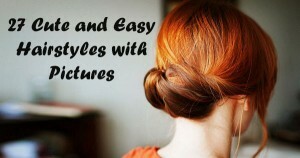 Doing this will relax tight curls and frizz on damaged hair. 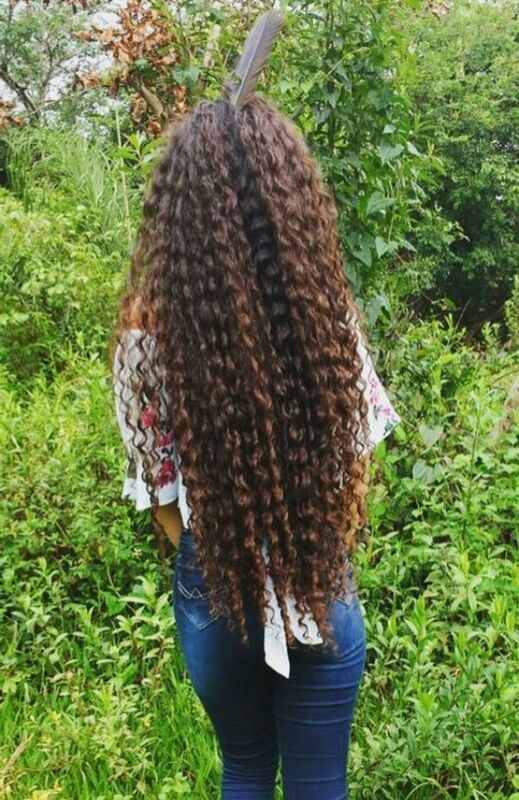 Otherwise, you can opt to trim your curls, however, if you feel this move is too severe, then just wait for it to fully grow out. You’ve seen the different perm styles and inspiration. Does that not make you wonder? What are the different types of perms? Well, there are different types of perming procedures you can try. As you know, people are born with different hair types: straight, curly, wavy, that can be long, medium-length, or short. These natural assets are typically taken for granted so people go get a perm and get what they don’t have. People with straight hair get it curled and vice versa. 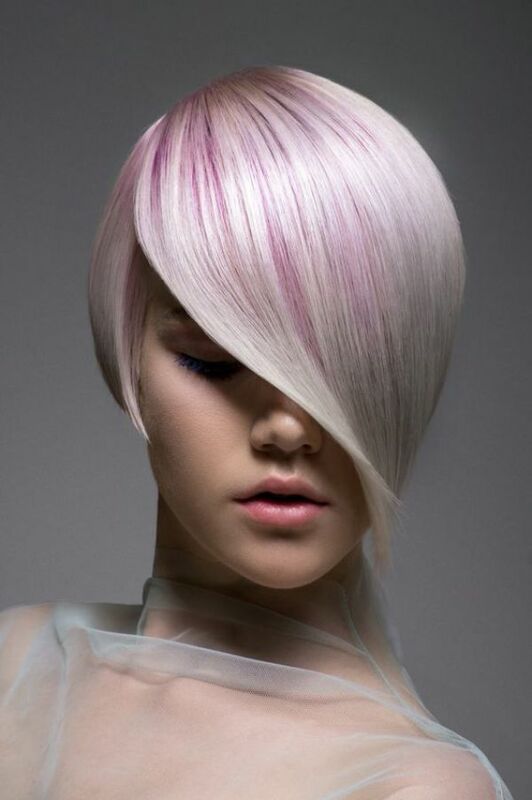 At the moment, there are two types of chemicals used to perform hair perming: alkaline and acid. 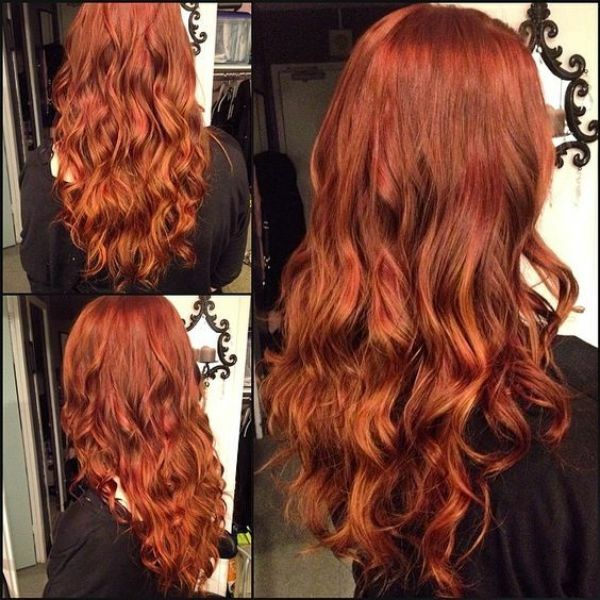 Both chemicals effectively curl the hair but they differ in terms of perming procedures followed. When it comes to which perm chemical is used more often, alkaline is the answer. Alkaline perm is also known as cold perm. 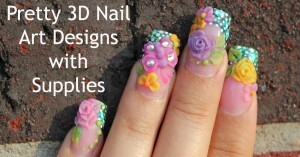 This product is made of lotion combined with ammonium thioglycolate. This chemical does not require any heat to activate, which is why it is popular as cold perm. Since the chemical contains ammonia, the chemical has a strong odor. If you have a hair type that is more on the thicker and coarser side, this chemical is perfect for you. 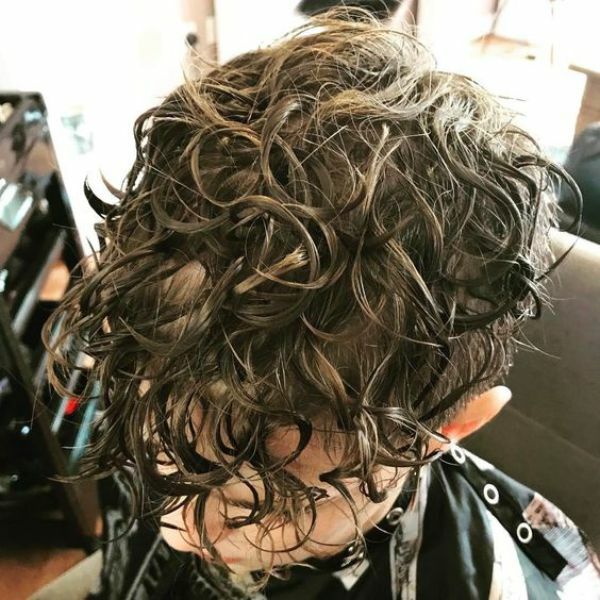 To give you an expert and honest advise, this chemical is more damaging to the hair, but the final curls are guaranteed firmer, stronger, and longer lasting. Acid perm is made of glyceryl monothyioglycylate. Unlike alkaline chemicals, the chemical used for acid perming requires heat for it to activate. The good news is that this chemical is more gentle and milder, thus the curls it produces are looser. Additionally, it relaxes the hair back to its original form faster. If you prefer less damaging chemicals used to your hair, then acid perm is your best option. Acid per is perfect for people with thin and very fine hair strands. It is also perfect for people who already have severely damaged hair. A brand new technology developed to achieve curls, this perming procedure involves the use of air and wind. It uses the so-called ‘power of the air’ to influence the moisture level and temperature of hair to achieve an incredibly natural looking hair curl which gorgeous lush and airy volume. There are many different types of perm. Below is detailed information on their differences. The procedures followed all over the world is the same. There are differences in styles are achieved by the different ways rollers are used. Ceramic perm requires up to 4 hours. It makes hair locks appear to have an S-shape. Ceramic perm produces more voluminous and heavy curls than that of digital perm. 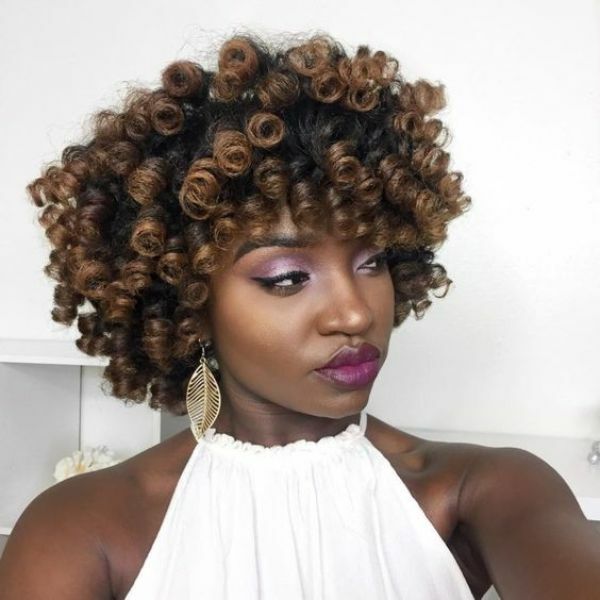 Ceramic perms are achieved with the use of ceramic curlers that heat up to the highest temperature for hair which results of nicely S-shaped curls where even the ends are highly defined. Since ceramic perming produces highly defined curls, it also makes the hair more shortened than a digital perm. For this reason, it is best to get a ceramic perm if you have a longer hair length. Preferably a length that is passes down to your bra strap. Also, an excessively layered hair won’t work with this perming style. 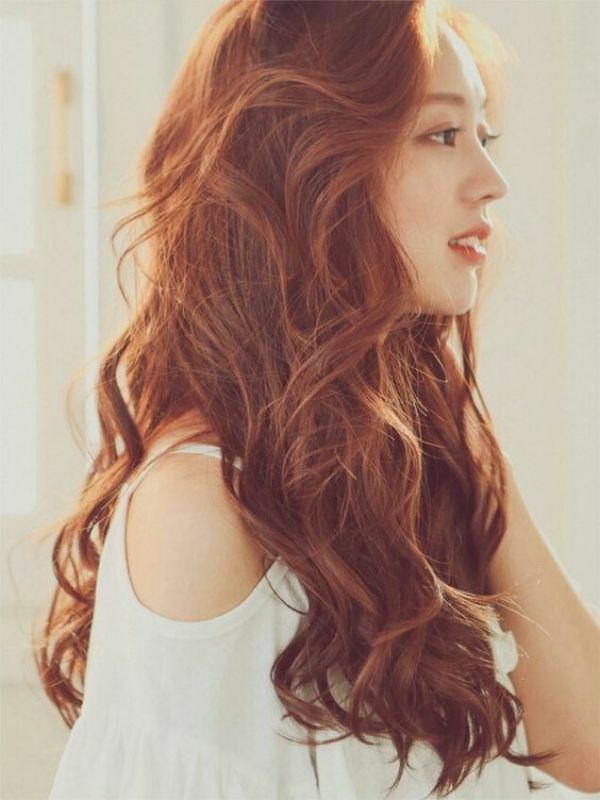 Lastly, since this perming style requires heat, it is more suitable for people with thick coarse hair because thicker hair can handle the damage cause of heat. Digital perm and ceramic perm is somehow similar to each other. It also requires up to hours. 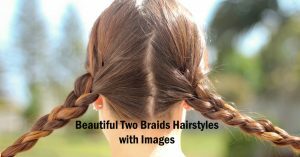 The main difference between the two is the look of the ends each perming style produces. Digital perm produces loser curls hair ends while ceramic perm produces more defined hair ends. 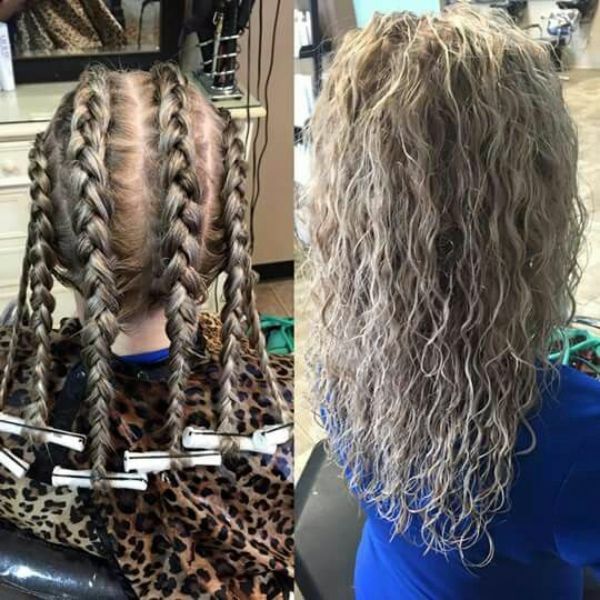 Digital perm uses heat-resistant plastic curlers. When these curlers heat up, it is generally at a lower temperature than that of a ceramic perm, thus, producing softer curls at the end. 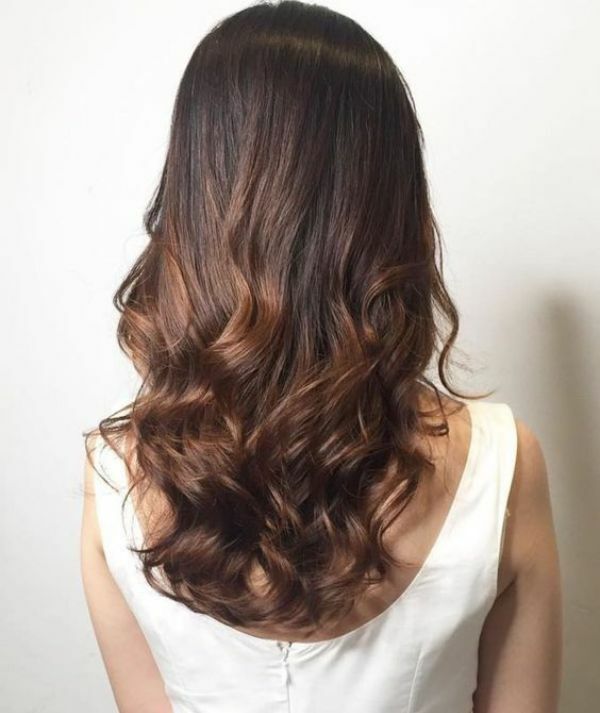 Since the curls produced by Digital perm are softer and less defined, it does not make the final look so much shorter which is why this type of perm style can be perfect for medium length or shorter length hair. 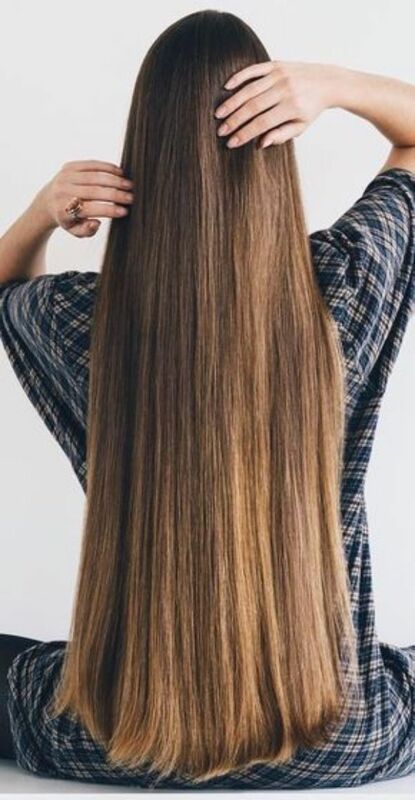 When it comes to the hair type suitable for digital perming, it is again perfect for coarse and thick hair types mainly because of the heat used in this method. This type of perm requires up to 3 hours to finish. Wave perm is perfect for people with thin fine strand hair who want to give their hair some volume. Unlike ceramic and digital perm, this type of perming style uses C-curls and not S-curls. C-curls successfully create hair waves that give that soft voluminous hairstyle. 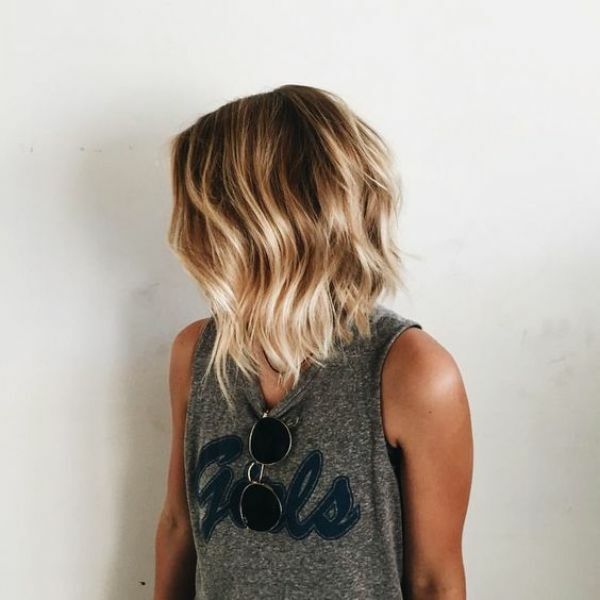 Since this style produces curls that don’t make the hair appear shorter, the style is perfect for coarse hair that is short or shoulder length. Before heat perms were a thing, cold perm was THE curling practice used by all hairstylists. The curls are achieved by wrapping the hair around traditional curlers. Once everything is wrapped, chemicals are applied. 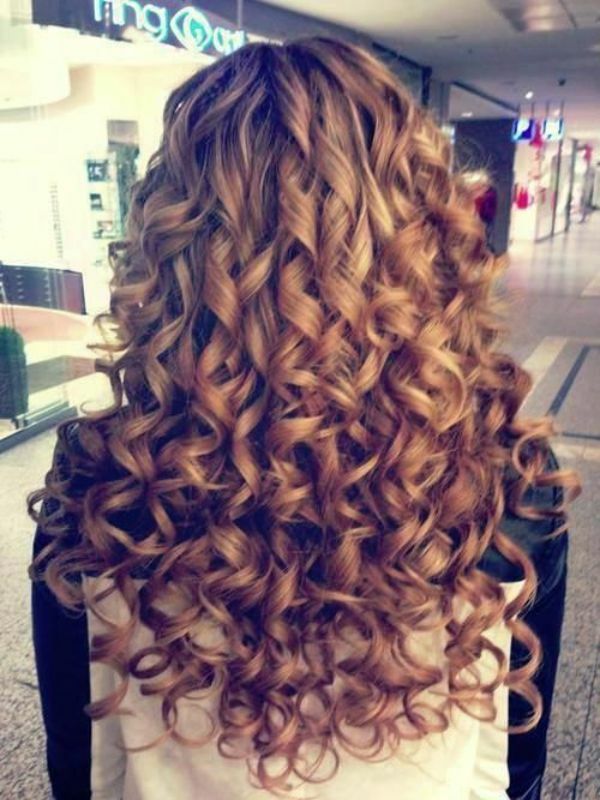 In this method, bigger or smaller curls are achieved by changing the size of the curler. This procedure requires about 3 hours to complete. Moreover, the classic perming is perfect for all hair styles and lengths. This perm style requires rather detailed and defined small curls, this it requires 5 hours or more to complete. In this style, hairstylists use cold perming procedures as it produces better-defined curls with the use of small curlers. The hair is wrapped tightly around small curlers. then, chemicals are applied to the hair. 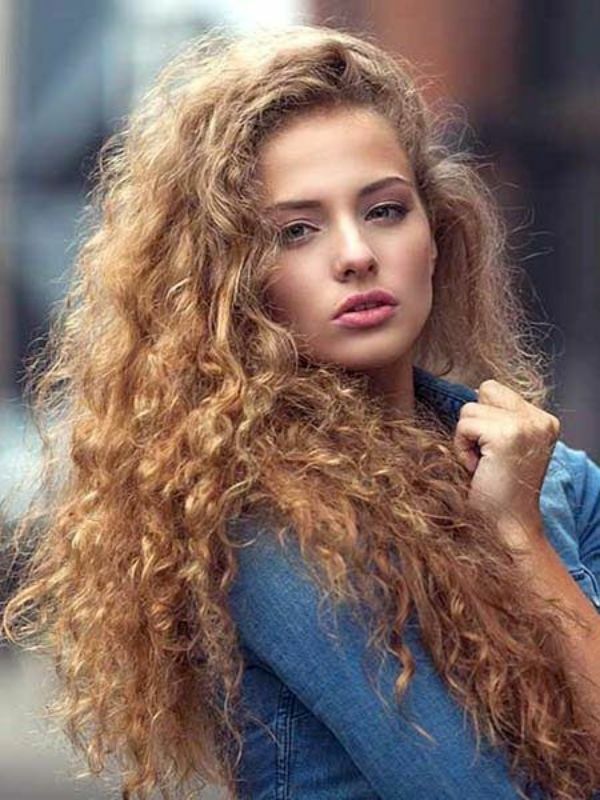 An expert advises, do not get this perm if your hair is already severely damaged from previous procedures as the chemicals may cause more excessive damage. 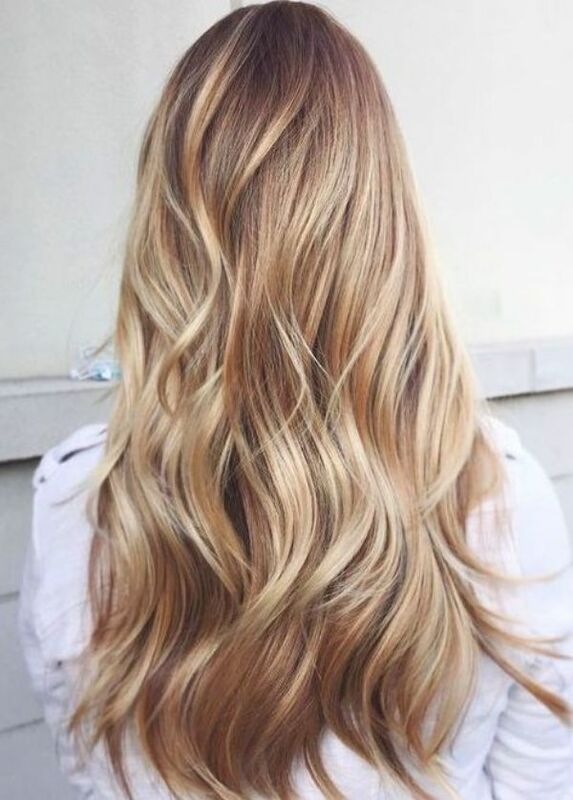 Additionally, since define curls are being achieved, the hair is treated with the chemical longer than other perming procedures, thus more damage can happen to the hair. Twist perm is perfect for shoulder-length hair or longer. But as a professional, I highly recommend getting the twist pern on shoulder length hair so the end result is still manageable and highly voluminous. These perm styles somehow categorized as a variation of Digital, Ceramic, and Body Perm. However, they differ in the way the hairstylist cuts the hair and how the hairstylist used the rollers to achieve a trendy hairstyle. 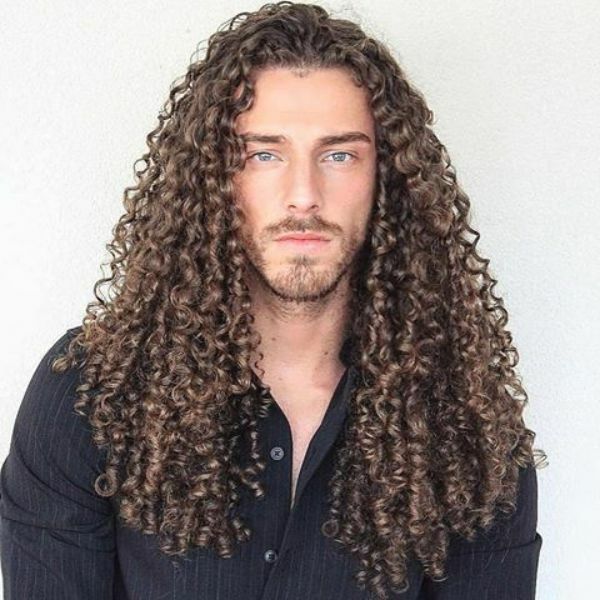 The main difference is that Korean Perm features more defined curls that are heavier-looking, and more voluminous while Japanese perm features lighter natural-looking wavy curls that achieve that messy hair looks that’s apparently more youthful looking. 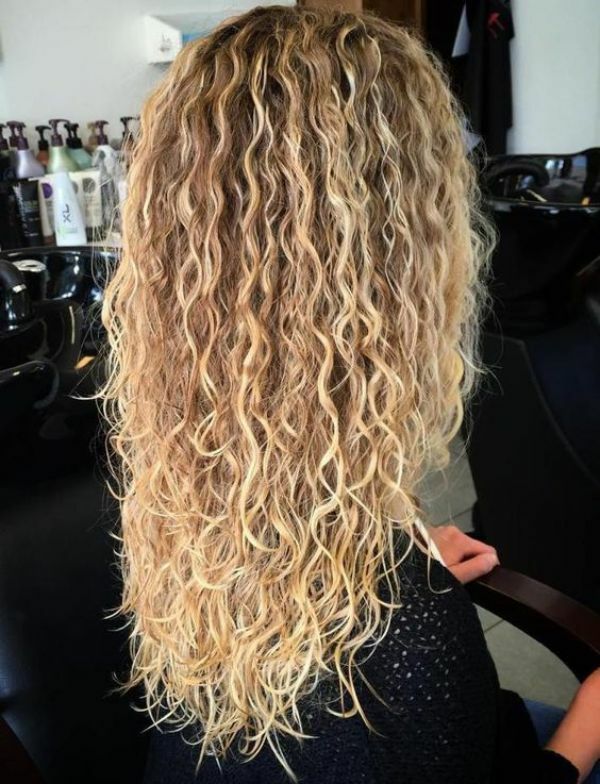 Getting a perm hair can cause damage to the hair if not done properly which is why it is extremely important to get it done with a reputable salon that can professionally and safely perform the perming process to your hair. It would also highly help if you get pre and post treatments after your hair is permed.